How do you get free AdWords Coupons? Here’s how, step-by-step and updated April 4, 2019. First, identify the free coupons using the websites listed below. Second, if that doesn’t work, call into the Google Ads tech support center and “beg” one of their helpful rep’s. Third, access some of the resource lists or search techniques listed below to find Google Ads Coupons in “real time.” Note: this list comes out of our bestselling Google Ads (AdWords) Book, available on Amazon. AdWords Coupon – get $75 back when you spend $100. Also, try this link, here, for Google Ads Coupon Codes. Check with your contacts, such as your Web hosting company, Google Ads agency or consultant, or even your small business bank or Visa card. Many of them offer free Google Ads coupons or vouchers from time to time. Google Grants for Nonprofit. If you’re a nonprofit, this is a program to help nonprofits with free advertising on Google; no coupon required! You have to be new to AdWords, or at least not yet have started your ads. But another tactic is simply to call Google AdWords support at 877-906-7955 and ask for a free coupon. Tell them something like someone told you there were coupons, but you lost yours or didn’t quite get the offer (as for example, you heard a radio ad). You can also visit AdWords technical support, here, and remember – just ask for a coupon. Generally, if you’re a new advertiser and you’re nice… they’ll give you a coupon if you ask. Oh, and if you’re having trouble redeeming your code, you can read the Google help file, here. 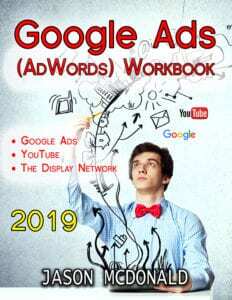 Besides coupons and vouchers for Google AdWords, there are number of other free resources to help get you started with Google AdWords. (Don’t forget to do some simple Google searches for up-to-date AdWords coupons, as in ‘free AdWords coupons on www.google.com / within the last year‘ or the same search on Bing (ironically, Bing is a good way to search Google to find those $100, $75 coupon codes for AdWords advertising)). Learn with Google. This is an OFFICIAL Google resource on getting started with AdWords. Lots of useful stuff here, but remember, Google has a vested interest in getting you to spend as much money as possible on AdWords. So it’s pretty salesy. You should also check out the OFFICIAL Google AdWords help files, here. Google Ads Technical Support. You might not know it, as few do, but there is a massive “help” website for Google Ads. Check it out, and start with their tutorials!